Perfect for cars with solid, thin paint and in a solid colour such as Red, Blue, Black, White or Yellow. F40 is a bespoke car wax request received from the owner of a Ferrari F40. We are trusted by car enthusiasts around the world to offer bespoke solutions for their car wax. Car usage is as individual as the person driving, and so your car care products must reflect the use of your car. Imagine this, a car which is mainly utilised for shows and is transported to and from events will not require the same protection solution as a car which is driven weekly on country roads, this is why we blend car wax to your requirements. As you are aware the Ferrari F40 was originally only available in Red, however, we are aware of White, Black, Blue and Yellow. If you own a different colour of Ferrari F40, we can adjust the blend specifically to compliment your colour. This particular blend was crafted for the infamous Rosso Corsa; a famous Italian racing colour. When discussing options of clarity and richness we were keen to further illuminate and boost the colour intensity. The clients F40 is mainly used for shows and hosted rally's. F40 possesses a distinctive, rich fragrance and is a soft wax containing natural oils which makes for easy and excellent application. F40's curing time is exceptionally quick due to the high amount of pure wax, the wax is not thinned by oils and it does not gas after curing. F40 possess hydrophobic properties which are very impressive. 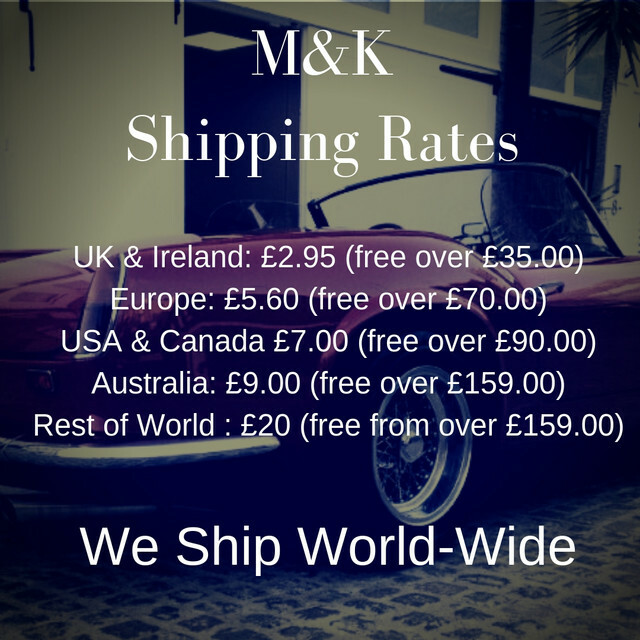 Contact john@mitchellandking.co.uk to discuss any further requirements.